The Well-Groomed Hippie: Repair or Replace? When faced with something broken or no longer working, what is your first thought? Do you consider how it might be repaired or do you start planning to replace it? Obviously the same answer won't apply to every circumstance but what is your general response? I grew up in a family where the men seemed to be able to fix nearly anything. Plus, back in those "olden times" most things were made to last and were more easily repaired than much of what can be purchased these days. A bit of electrical tape and...voila! Problem solved. I've done a similar repair on our Rainbow vacuum cleaner which is approximately 22 years old. If something can be fixed pretty easily I figure, why not? 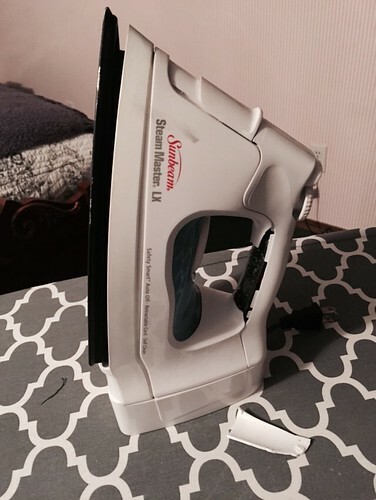 I'm also lucky to be married to a man who, like the men in my family, can fix most anything. Sadly, repair shops are disappearing and in many cases it has become cheaper to replace than to repair. There used to be a gentleman in our town who had a reputation for being able to fix anything and had a little repair shop at his house. He passed away several years ago and to the best of my knowledge, there is no one else around here like him. I would be happy to pay more for better quality items which last and can be repaired but for the most part, those days are gone. My parents have been married 53 years and are still using many of their wedding gifts on a regular basis. In fact, the hand mixer my mom uses had been her DAD'S! And don't even get me started on furniture. How often do you see hardwood construction and dove-tailed drawers these days? My parents are still using the sofa they bought when my brother was two. 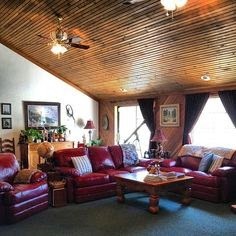 They had it reupholstered about 20 years ago and it's better than most of what one can buy these days. We did splurge on a new sofa, love seat, chair and ottoman last year. We found a set made in the U.S. with solid hardwood frame, down filling and high quality leather. It's beautiful but we had to pay more than our first two cars cost - combined. Still, we decided we'd rather bite the bullet and buy something that should last the rest of our lives. And that's the challenge, isn't it? Do you buy something "affordable", only to replace it in short order or do you save and buy something that will last? If you can even find such as that. We've become a throw-away society and our landfills are evidence of just that. I don't really have the answer. I guess you just have to take things on a case-by-case basis and determine whether it's better to replace or repair. But for me, if a piece of electrical tape will do the job, that's what I'm going to do. Best of luck with the electrical tape! I have been there, done that. I ended up with a big sticky mess. The electrical tape moved around a bit after being warmed up the the heat of my hand and back and forth motion of ironing, exposing the adhesive. I suggest putting a layer of duct tape over the electrical tape. 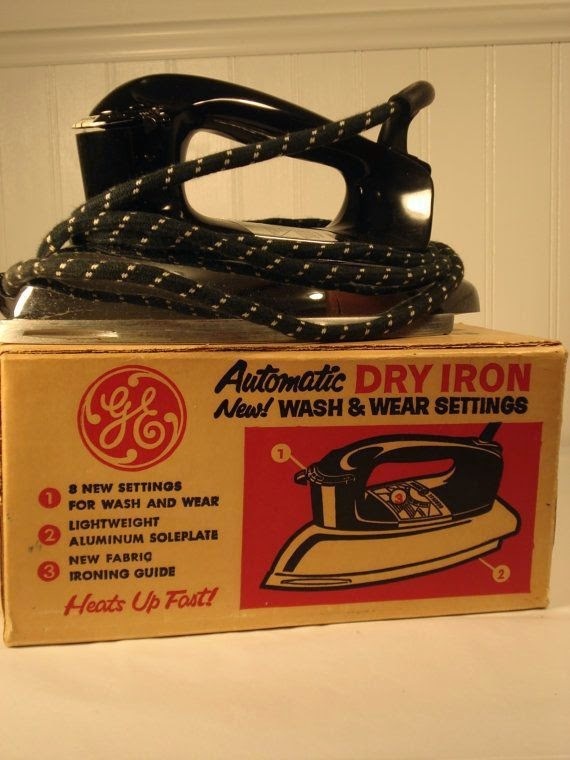 We went through two irons in just a few years - too short of a time period in my eyes - before settling on a heavy-duty, retro-looking one from Black & Decker. It's pretty basic, but gets the job done without any plastic bits falling off. I better not have to replace it for at least 10 years, if not ever! Thanks for the duct tape suggestion - I'll do that. 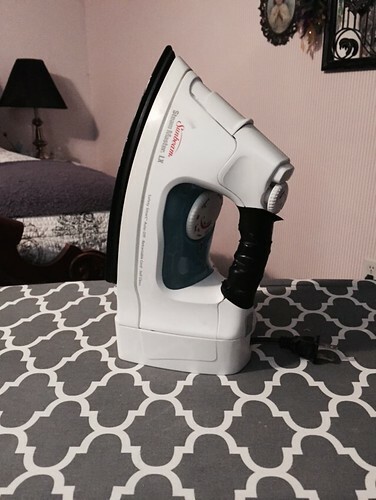 And I added the iron you recommended to my wishlist for when this one is no longer functional. Thank you!